Norton Yachts is committed to ensuring that your privacy is protected. Should we ask you to provide certain information by which you can be identified when using this website, then you can be assured that it will only be used in accordance with this privacy statement. Norton Yachts may change this policy from time to time by updating this page. You should check this page from time to time to ensure that you are happy with any changes. This policy is effective from December 8, 2014. All of the articles in Norton’s blog are written for entertainment purposes only. Norton’s is not providing legal, medical, or other professional help. We make no representations as to the accuracy or completeness of any information on this site or found by following any link on this site. We are not responsible for the actions of other businesses that we have suggested, reviewed, or linked to throughout these articles. We are not responsible for broken links or domain changes that may have been linked to in the past. We will not be liable for any errors or omissions in this information nor for the availability of this information. How you choose to use the information provided in this blog is done at your free will. Norton’s will not be liable for any losses, injuries, or damages from the display or use of this information. This 2004 Hunter 356, "No Clew", was one of the last 356s produced before the change to the 36. One-owner, boat has spent its life on the Chesapeake Bay. Options include In-mast furling, AC/Heat, autopilot, refrigeration, electric anchor windlass, electric head, cockpit cushions, and bimini. 27HP Yanmar diesel. 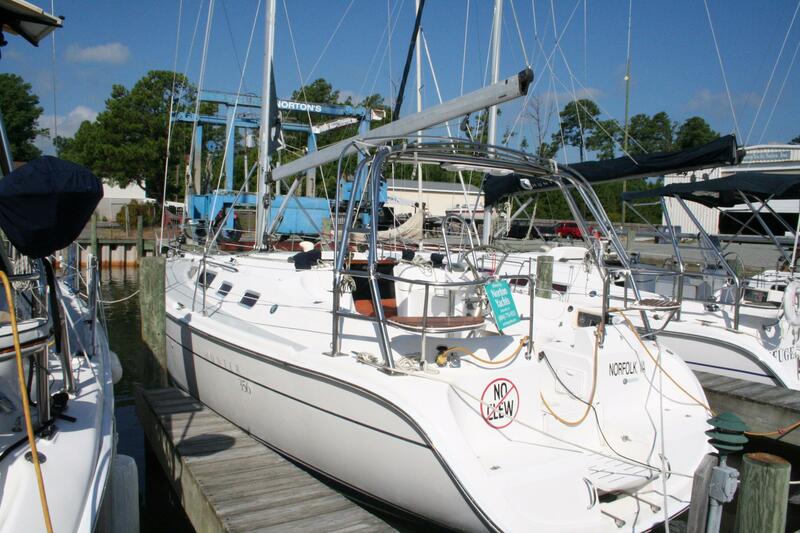 Easy to single-hand, ample room and comfort below deck.